Are your hands longing to try something new? Join me in my studio on beautiful Whidbey Island, at the mouth of the Puget Sound in Washington State and dive into to the tactile world of Nuno Felt. Whether you are new to fiber art or a lifelong felting enthusiast, indulge your creative spirit with the inspiration you've been searching for, and express the colors of your world in a way that is richly layered, full of delightful surprises and generous with colorful possibilities. While you are here, we will gather round my dining room table - drink wine and eat healthful, yummy food that I have lovingly prepared from my mother's recipes. You will have a chance to walk the beach and gather pieces of driftwood, agates, rusty bits. This retreat is intentionally small so that there is lots of space for you to create as well as one-on-one instruction time with me. I look forward to welcoming you into my home and studio. 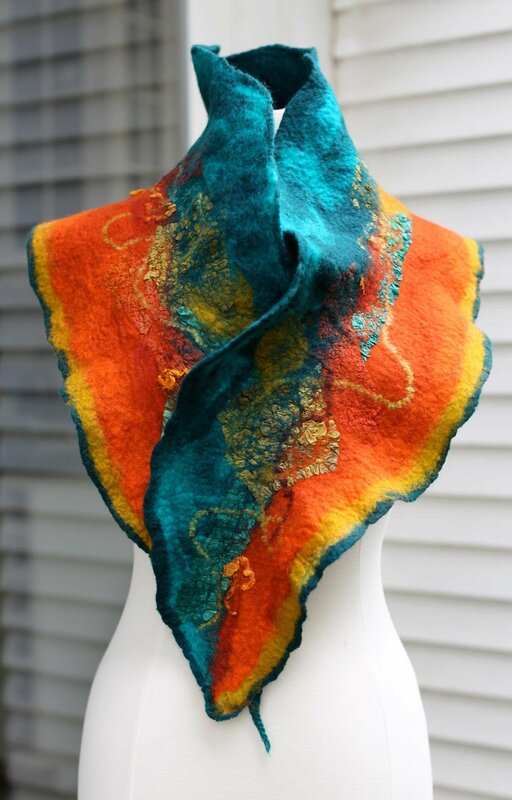 We will create beautifully textured wearable art by collaging bits of silk and wool into a new piece of fabric. You will learn color flow techniques, and how to enhance the colorful possibilities with yarns, hankies, thrower's waste and other decorative bits. 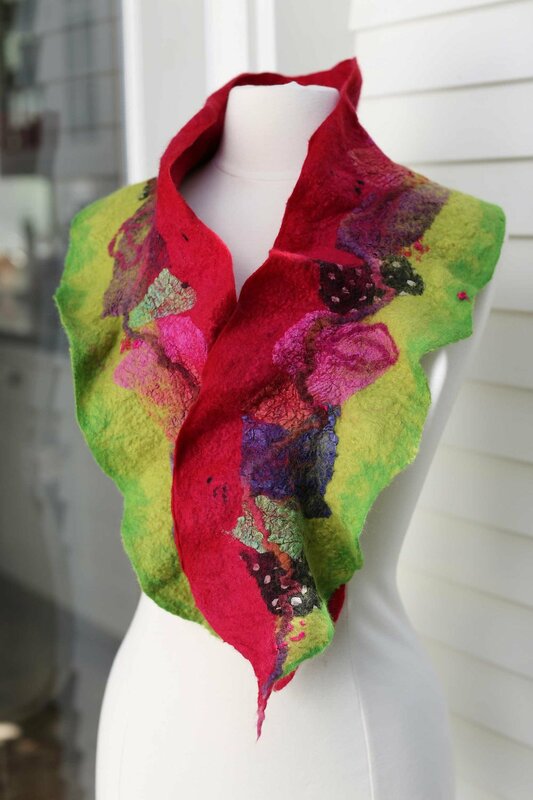 Experiment with directional felting while incorporating nuno-felting elements to create a beautiful ruffle scarf that frames the face. We will explore color flow techniques and learn how to blend wool to create a glow of color. Nuno Felt Retreats are limited to 6 students. This insures lots of space to create as well as one-on-one attention from Beverly. Participants are invited to a private Facebook group to share, connect and be inspired by current, past and future students.